Optimisation of the order management workflow is one of the main concerns for ecommerce stores. Any store owner looks into arranging order creation, editing, and archiving processes smoothly and logically. With multiple orders coming in every day, you need a robust solution to manage them. With the help of the MageWorx Magento 2 Order Management extension, you will enhance the default Magento order management workflow, making it faster and more efficient. The module lets you streamline B2C transactions and improve order accuracy by revamping the way you work with order data. Extend both the Magento 2 or 1.X order functionality and get a smooth order processing workflow. Below, we shed light on extension’s core features and dive deep into its backend. The MageWorx Order Management module allows users to edit order details without cancelling them, while the default Magento platform lacks this feature. Default functionality allows modifying an order only after you cancel it, which can be inconvenient and disturbing for the whole order processing workflow. For example, if you need to edit a customer’s address, you will need to specify a shipping method again. Another example is if a customer used a credit card for payment, you would have entered all credit card details repeatedly. So, if you have been searching for ‘Magento edit order without cancel’, you have come to the right place. You can modify all essential order details, like a product price (including or excluding tax), discounts, coupon codes, taxes, and more. Besides, it is possible to both edit and remove products available in each order or even select new items to add while editing the existing order. Moreover, the extension shows a new Grand Total preview if you change the content of an order. With this feature, you can check carefully all changes made before they take action and make additional corrections if needed. Modifying order billing information is now a matter of a mouse click with this Magento edit order plugin. You can change all billing details, including billing address and customer’s personal billing info, right in your admin. An extended order shipping functionality is another vital improvement available with MageWorx Order Management for Magento 2 and 1. As a Magento admin or owner, you get the ability to edit any shipping info (customer’s personal shipping details, contacts, etc.) without cancelling the order. The extension enables admin users to change order’s date and time, state, and status in the backend. This function can be useful for online shops doing international shipping so that precise date and time can be switched to merchant’s time zone. With the possibility to modify state and status of an order, it is easier to manage orders with manual processing. The Order Management plugin brings the possibility to modify customer’s general information, like name, email address, and customer group. This feature might be helpful in case customers misspell their name while placing an order or signing up on a website. With the ability to change customer group, you can provide some benefits to specific customers or limit access to others. The MageWorx order management tool extends the capabilities of the default Magento Orders grid and provides ecommerce sites with an extensive overview of all essential order details. Standard Sales-Orders grid can be customised in a way that all necessary order information will be included in the grid for a user’s convenience. 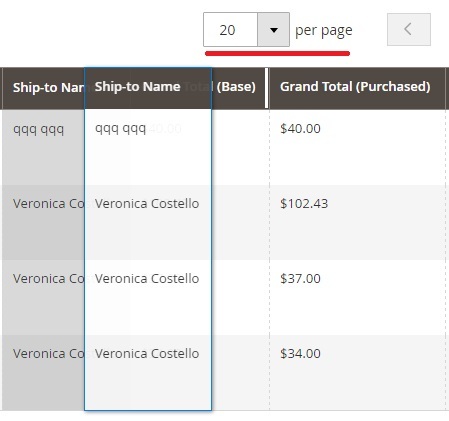 The extension also provides 28 extra essential order parameters adding exhaustive details to orders preview with the columns on used coupon codes, tax amount, shipping region, SKU, and many more. The Order Management extension improves the default Magento features on mass order actions. While the standard functionality provides just a few mass actions in the orders grid, the module extends this number to 20 additional bulk order actions. You can concurrently apply the same operations to multiple orders, as well as completely delete unwanted orders, what is not available in the out-of-the-box Magneto platform (orders can only be marked as cancelled). To understand better the extension’s features, let’s have a look at its backend. To view and manage all orders, go to Sales → Operations → Orders from the admin panel. There is an appropriate grid on the screen with orders. It may include up to 28 extra columns with essential order data that you can choose to hide or show from the Columns drop-down menu. The columns are divided into four groups: Order, Shipping, Billing, and Customer. Another available customisation is the ability to set the number of orders per page and rearrange the existing order of columns by dragging and dropping them. As for other features, it is also necessary to mention the extension’s robust filtering options. If you hit the Filters button, you will open all filters that are available in your current grid configuration. Besides, with the MageWorx Magento order manager, you can export data in CSV or XML formats, apply sorting to each column, and search by keywords. The MageWorx Order Management plugin adds 20 extra order mass actions available in the Please Select menu. Select orders by ticking them in the first column (you can select or deselect all orders simultaneously in the columns header) and choose an action you would like to apply to the selected orders from the drop-down menu. It is possible to cancel, hold, unhold, and even completely delete several orders simultaneously. Here you can also choose to capture payment, create and/or print invoices with or without sending a notification to a customer, print packing slips, credit memos, and shipping labels, and much more. While creating a new order, you should choose order currency and add products. Then, it is necessary to specify account information: customer group and email address. Next, there is a section with address information: billing and shipping addresses. It is also important to fill in the part with payment and shipping info: payment and shipping methods. Besides, you can leave comments in the Order Total section, as well as view order history, subtotal, shipping and handling, and grand total. Note, that there is a section on the left side of Create New Order page that illustrates customer’s shopping cart, wishlist, last ordered items and other details on customer’s actions. You can use this data when creating a new order. While modifying an existing order, you have to deal with five tabs of data in the Order View menu: Information, Invoices, Credit Memos, Shipments, and Comments History. Let’s have a look how to make general order details modifications. The Information tab is divided into five sections. Order and Account Information: Order number and Account Information. In the Order number section, you can edit order’s date, status, and state. In the Account Information section, you can modify customer’s details if necessary. Address Information: Billing Address and Shipping Address, both are editable. Payment & Shipping Method: Payment Information and Shipping & Handling Information. Items Ordered: you can add or remove products, as well change the product’s price, quantity, tax, and discount. Order Total: Notes for this Order and Order Totals. Here you can preview the order grand total. 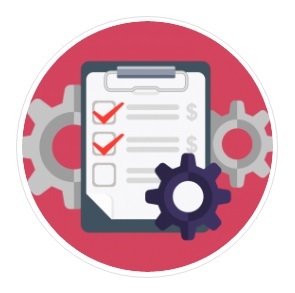 As for other Sales-Operations tabs, they include highly customizable grids with advanced filters and sorting options, so you can easily find all necessary documents. It supports the same functionality as the Orders grid, so you can easily rearrange the position of columns and their number. Sorting and filtering options, data export, mass actions (PDF Invoices), and keyword search are also available. You can view each document and edit address information. A screen with shipments provides the same features. The Credit Memos page is not an exception. Each column (except the last one) supports sorting and has a filter. You can rearrange the order of columns. As for the general settings of the MageWorx Order Management Magento 2 extension, you will find them by navigating to Stores → Settings → Configuration → Mageworx → Order Management from the admin panel. The extension provides the option to quickly synchronise additional order data, which you can configure in the Orders Grid section. In the settings of the Order Base section, you should specify a checkout path. In the Order Editor section, the extension lets you decide whether to delete or modify invoices, credit memos, and shipments after editing an order. Enabling the return to stock in the Order Items section will set “Back to stock” function on default in the products grid. In the Shipping section, you can allow automatic recalculation of the shipping amount after modifying order details. Although MageWorx Order Management for Magento 1 offers even more features, the Magento 2 extension will add almost all missing functionality in the nearest future. Both modules get free lifetime extension updates and bug fixes. Moreover, if you are going to migrate from M1 to M2, don’t forget to ask for 50% OFF on the upgrade from Magento 1. As for the prices, Magento 1 module costs $149, and Magento 2 module’s cost is $199. Since all updates in MageWorx Order Management for Magento 2 are guaranteed for free, we recommend you to purchase the module right now and start exploring its functionality.